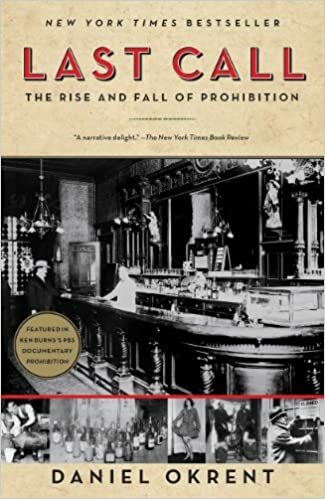 A brilliant, authoritative, and fascinating history of America’s most puzzling era, the years 1920 to 1933, when the US Constitution was amended to restrict one of America’s favorite pastimes: drinking alcoholic beverages. Montanans voted for Smith, 54 percent voted against a statewide Prohibition enforcement law. In Massachusetts, where Smith won barely 50 percent of the vote, a state enforcement repeal measure passed by nearly two to one. Nor was this countertrend confined to the first Tuesday in November. Five months before the presidential election, statewide repeal had captured 48 percent of the vote in North Dakota—North Dakota!—where Prohibition had been embedded in the state constitution for four decades. The Case of Prohibition in the Taft Court Era.” Draft chapter provided by author, Yale University Law School. Potter, Ryan A. “Enforcing National Prohibition Along the Detroit River, 1920–1933.” MA thesis, Eastern Michigan University, 2000. Powe, Lucas A., Jr. The Warren Court and American Politics. Cambridge, MA: Harvard University Press, 2000. Powers, Madelon. Faces Along the Bar: Lore and Order in the Workingman’s Saloon, 1870–1920. Chicago: University of Chicago Press, 1998.